AccessoryGeeks.com | [REDshield] Samsung Galaxy S7 Edge Case, [Black] Supreme Protection Slim Matte Rubberized Hard Plastic Case Cover with Kickstand and Swivel Belt Clip | Free Shipping! 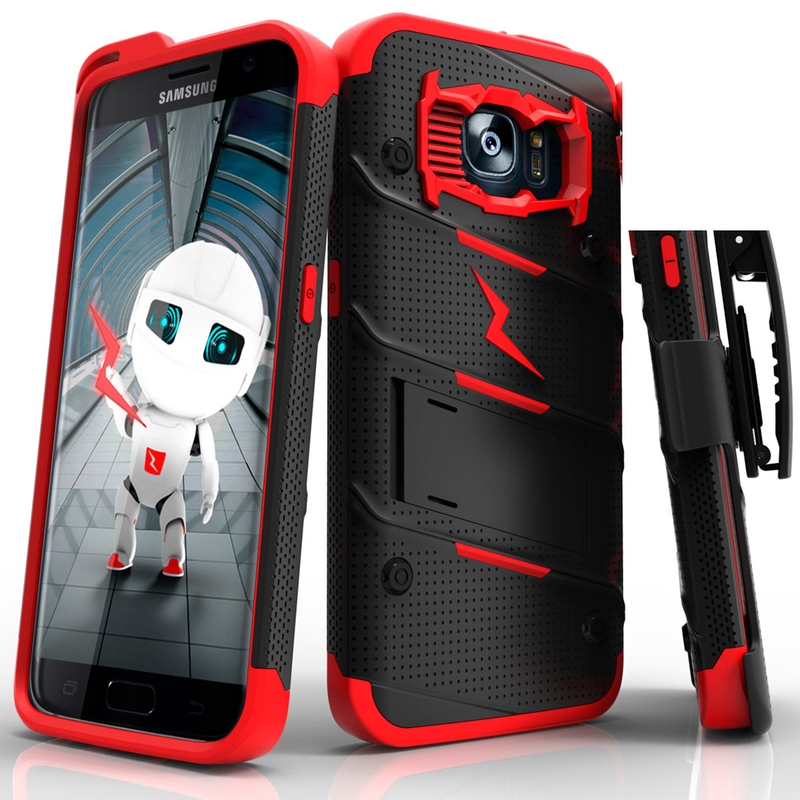 Samsung Galaxy S7 Edge Holster Case, REDshield [Black] Supreme Protection Slim Matte Rubberized Hard Plastic Case Cover with Kickstand and Swivel Belt Clip This SAMSUNG GALAXY-S7 Edge Rubberized Hard Case w/ Holster Stand - BLACK is great for quick drawing your phone for usage! 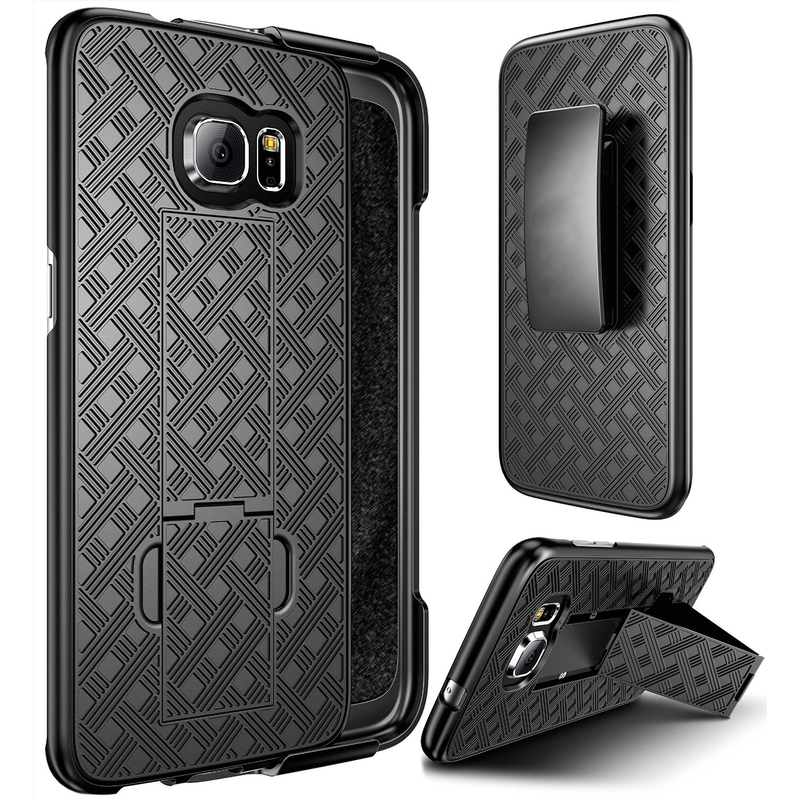 A quality product and made especially to fit your SAMSUNG GALAXY-S7 Edge. 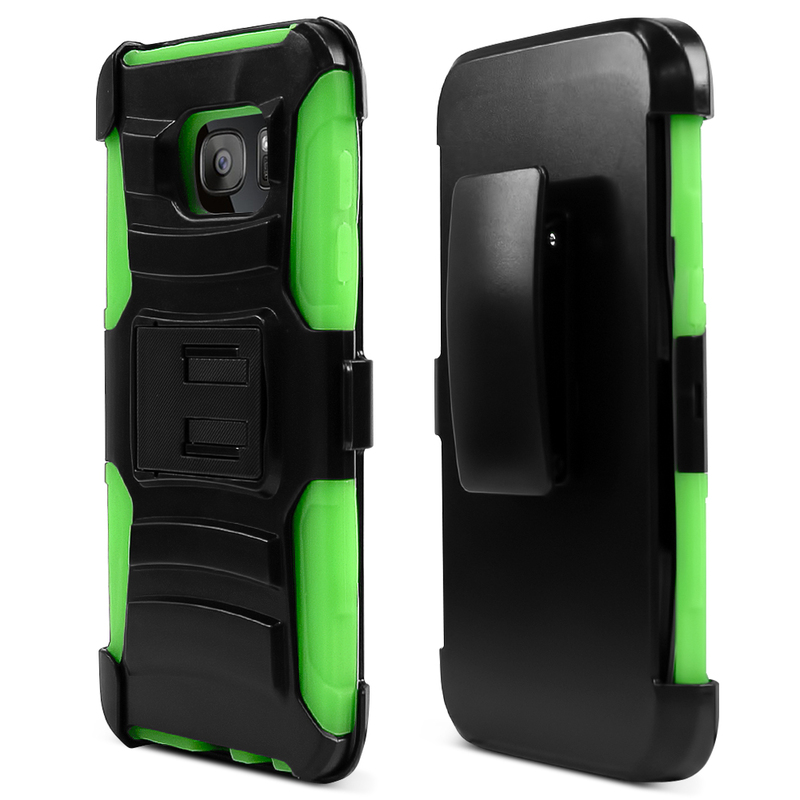 Rubberized hard polycarbonate plastic shell slim case with holster clip. 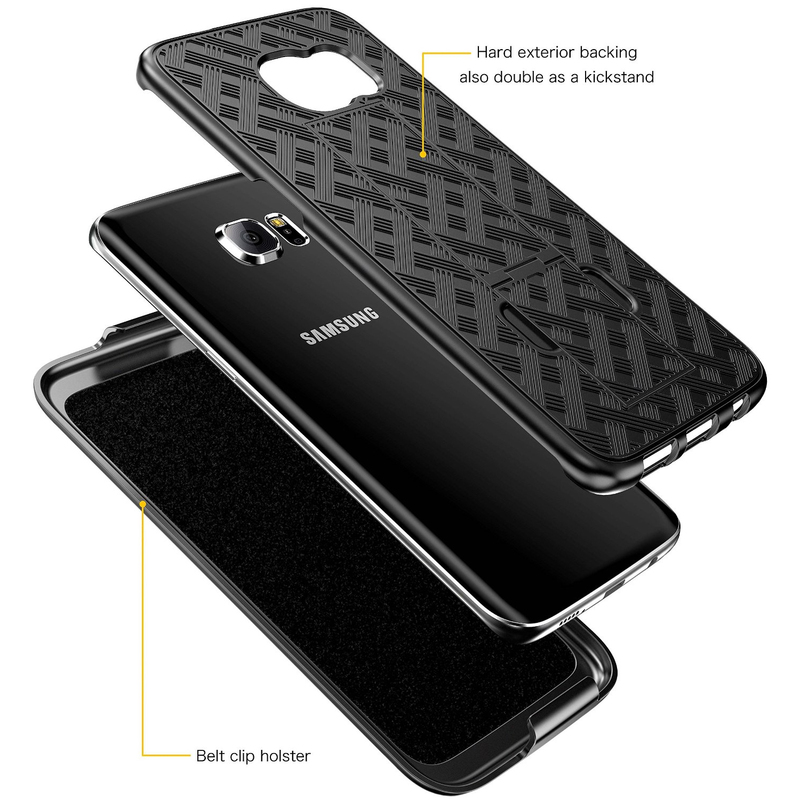 The ultimate protection for your Samsung Galaxy S7 Edge: ant-scratch, anti-shock, and anti-shatter. 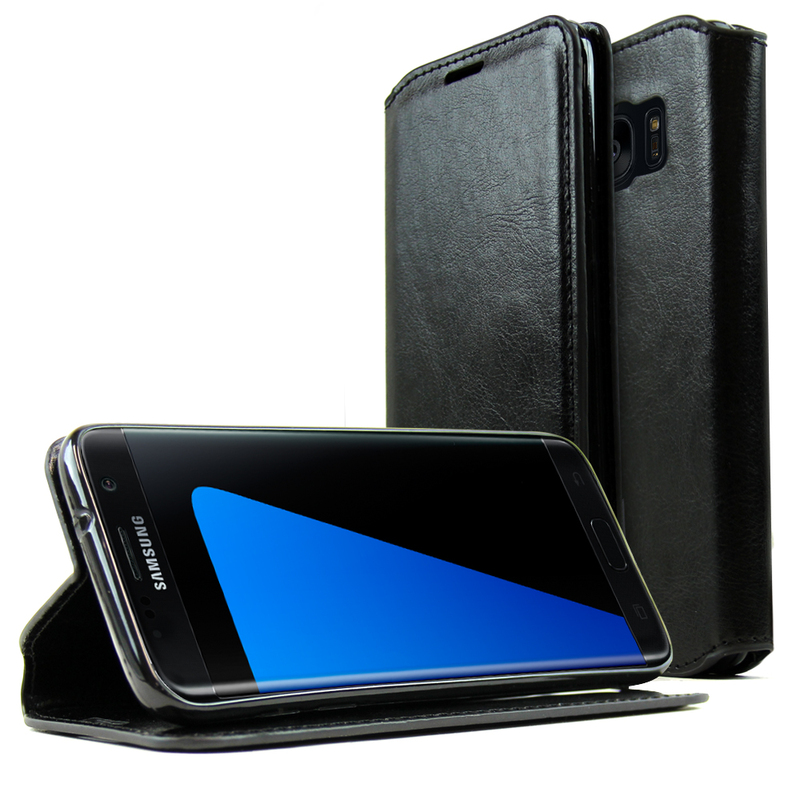 This SAMSUNG GALAXY-S7 Edge Rubberized Hard Case w/ Holster Stand - BLACK is great for quick drawing your phone for usage! 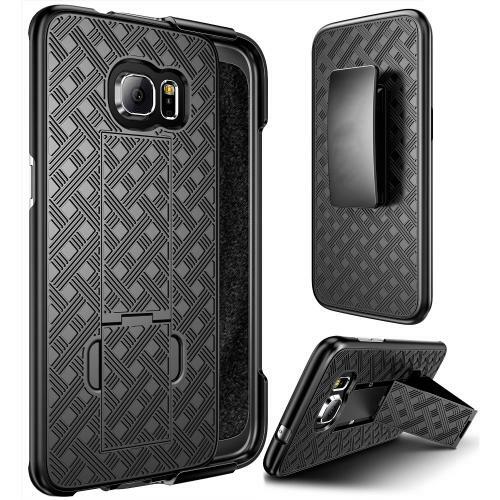 A quality product and made especially to fit your SAMSUNG GALAXY-S7 Edge. 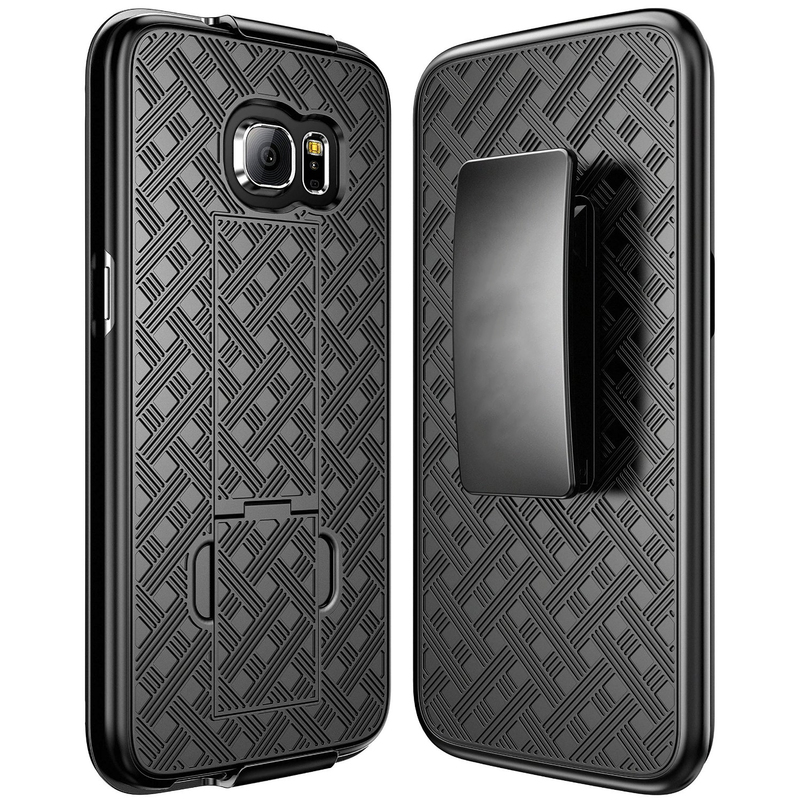 It's stylish and protective for your SAMSUNG GALAXY-S7 Edge. Quick draw your phone and slide out your phone from the holster that clips on to your belt or anywhere securely. 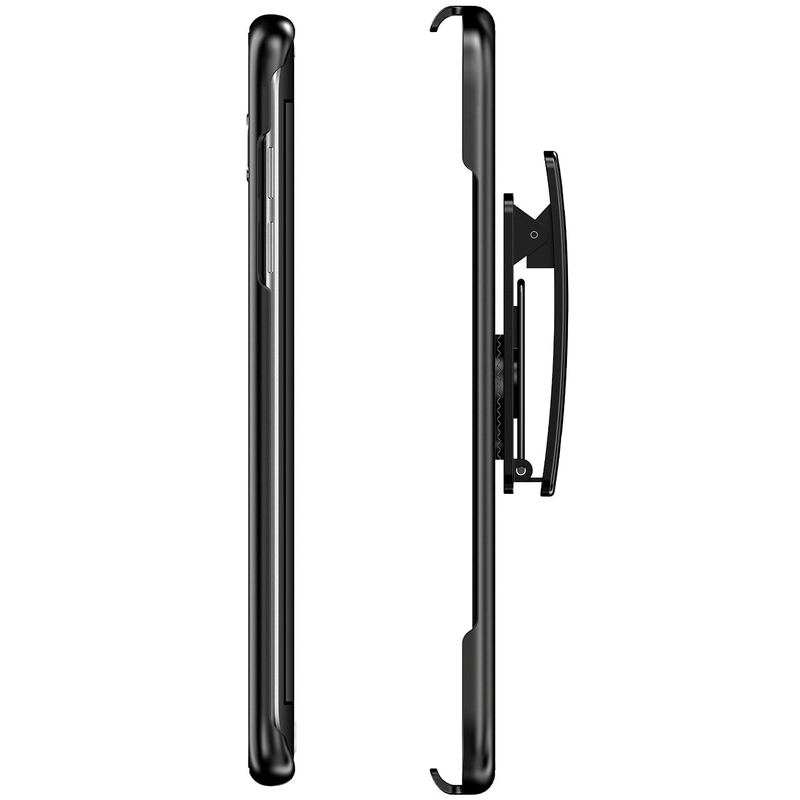 Prop up your SAMSUNG GALAXY-S7 Edge for great viewing position with the built-in belt-clip kickstand. 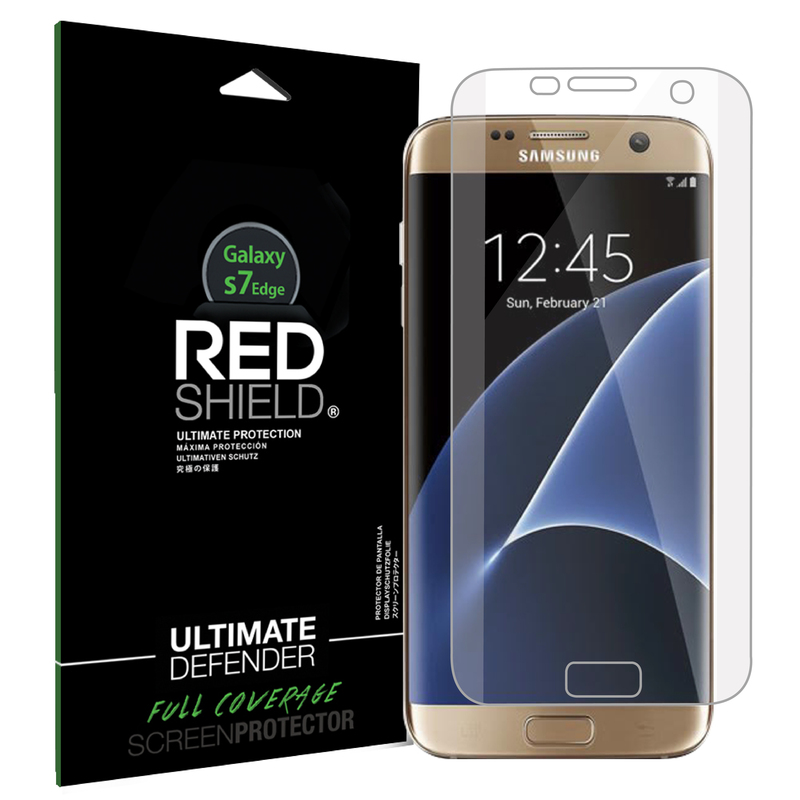 Samsung Galaxy S7 Edge [REDshield] Ultra Thin Soft TPU Screen Protector Film - Protect Your Screen From Scratches - Wraps Edge to Edge! Excited when we received it! I bought this for my husband, and he loves it! This is a great holster case, he can put on his belt, with kickstand and great protection. Thanks, Geeks! 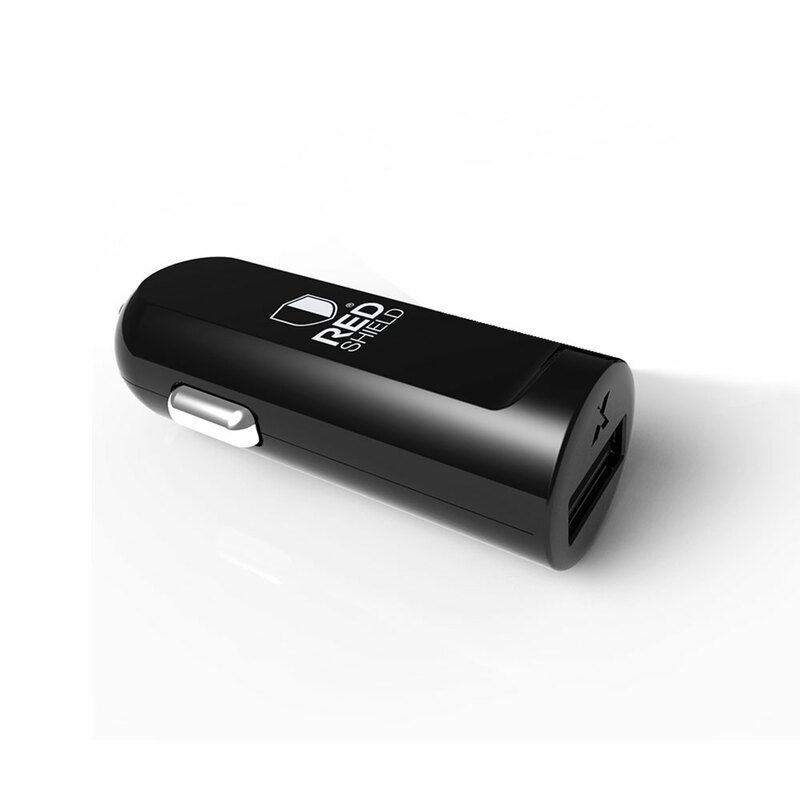 Very sleek case and offering protection without adding unnecessary bulk. It fits my Galaxy S7 perfectly. Holster is a great added bonus. I definitely recommend this case to others. Gorgeous case! It allows me to carry my phone hands-free by clipping it to my pocket. It holds securely and the case protects frost most drops onto hard surfaces. Good case! Absolutely love this case! Good looking, sturdy and durable. Built in kickstand for hands free viewing. Thank you for the phone stand that great in every travel! Absolutely love this case. Slim, light and sturdy enough for good protection. With my daily suit in the office and occasionally drop my phone on the ground. This case protected my phone. Great holster case! Bought for hubby. He really likes the clip on the back and kickstand for watching media. Well made design and can it can slide securely! Best case I've seen so far. It protects the edges as well without disruption of the features. Price was good and definitely recommend to other. Perfect! Perfect case it works and fits perfectly on my Galaxy S7 phone. Looks exactly as pictures and was delivered quickly. A great way of protection. Thanks Geeks for the free phone stand! Really appreciated:) The case is perfect for my needs and lifestyle. Very helpful to have on me at all times and still have my hands free viewing my favorite movies. Great case for the price. I love the kickstand for hands free viewing plus free phone stand:) Super love it! I used it in especially in travel, perfect in my wallet. Very useful:) Many thanks! Innovative case for my Samsung Galaxy S7 edge. Easy to remove from the case, great protection, and durable cover. I love the belt clip and the kickstand plus the wallet phone stand that used in my travel! Very slim fitting and I love the clip on feature. Nice feel to it! Fits my phone perfectly, sturdy and durable. The swivel holster, kickstand , free phone stand are wonderful! Everything was a advertised and quite a bit less than at the phone store. 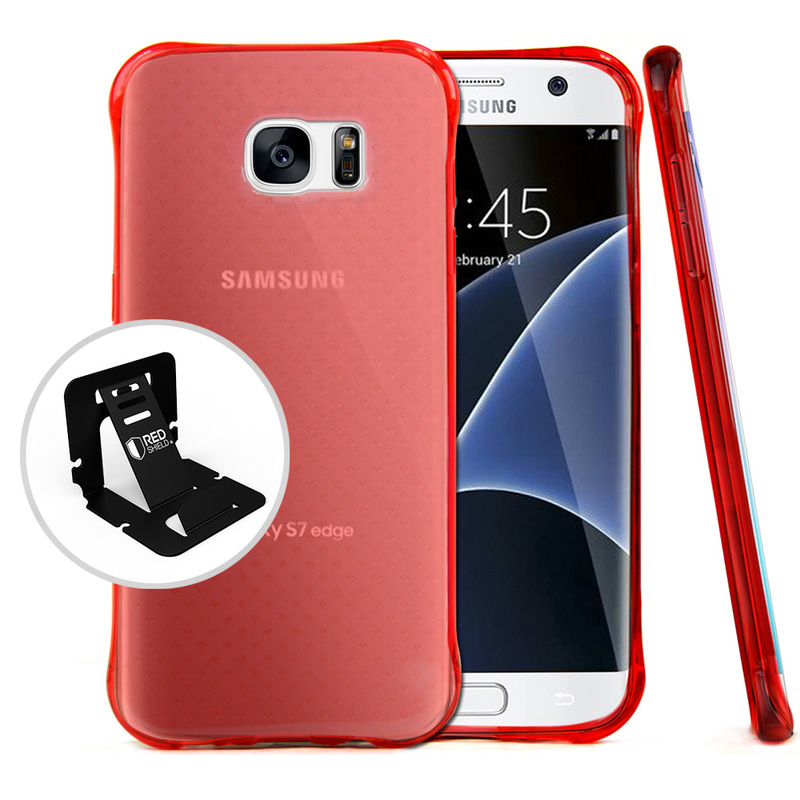 Super savings with great protection and free phone stand. Thanks Geeks! Simple and good looking case. It provides just enough protection for me, well made quality and very durable. Great for free phone stand for better viewing. Many thanks! Inexpensive and versatile case. This case is sturdy, easy to use and real quality for the money. A great way of protection, well built kickstand, and with free phone stand in the box. Very pleased with the purchase. Fits perfectly and doesn't add any bulk to my phone. Kickstand was great plus the free phone stand that perfect on my travel. Worth the money! Absolutely love this case. Excellent quality, perfect fit, durable and a great way of protection for my phone. With free phone stand. I used it almost everyday and perfect in travel. Worth the money! Gorgeous case! Well made, durable and an amazing deal for the price. I am so happy with my case and would definitely purchase again if needed. Free for Phone stand:) Best deal! Great hard plastic.I really like the slim profile case as well as the great kickstand and others features which I love most. A great way of protection, it helps to prevent from getting damage when phone was dropped. Thank you for the wallet phone stand for free! I love the simplicity of this case, it seems pretty, sturdy, especially for being slightly flexible case cover. Worth it! Best holster case style! The hinged keeps my phone safe and secure. The case itself is sturdy, strong and attractive. Fits perfectly on my Samsung Galaxy S7, with free phone stand! Thanks Geeks! Arrived quickly and it was perfect fit for my phone. Exactly what I was looking for. Fit the phone just right and we are now back on track. Case was sturdy, durable and great way of protection. An excellent customer service. Best value for the money! Happy for the free phone stand:) Quality made case, fit perfectly, durable and great with simple design. Highly recommended. Great mobile protection. It looks exactly as described and was delivered very quickly. With free phone stand:) Thanks Geeks! Fits well and provides a great protection. This is sturdy, durable and simple case with reasonable price. Thanks for the free phone stand! Great! Excellent fit and functions of this case is ideal. It is very snug but it exposes all the port and buttons are accessible. Highly recommended. I like this case! Simple, stylish, and great protection. Has been on my phone for a year and has saved my phone multiple times. Great price too! It's been a year and it's going strong, has protected my phone from many dropped. Great case for the price, sturdy and looks very nice. Great and well made product. I really enjoy the function of kickstand for hands free viewing plus travelling phone stand. Best deal! Thanks Geeks! It feels great and sturdy without adding too much bulk to my beautiful phone. 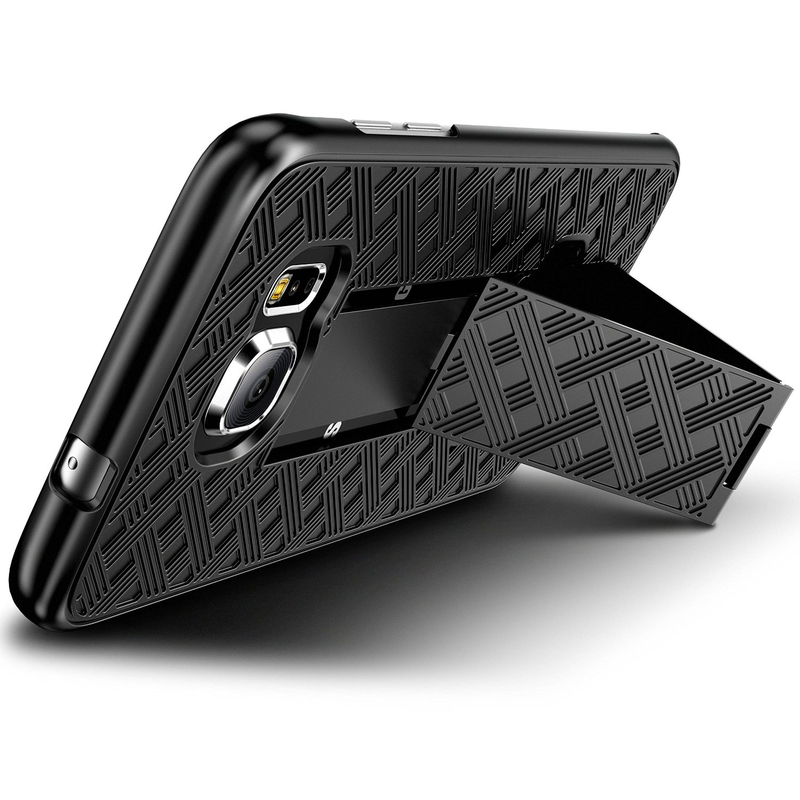 This is low profile case that provides good protection grip. Prevent scuff and scratches from everyday wear. Kickstand was huge plus and the free wallet size phone stand:) This is durable and had a great protection. I like the simple but pretty design, and it looks great! Great value, pretty and simple design. This cover fits my phone well and all buttons are accessible. It makes my phone looks so good! The price is definitely worth it. Great product great packaging and arrived on time. A great way of protection and durable. Would highly recommend. Thank you for the free kickstand! Best value case and very functionality. Very sleek and slim which made me appreciate my phone more. A great way to protect my phone. Awesome! I got a lot of compliments on my new case cover. Very nice on my hand, very stylish and simple but super durable case. 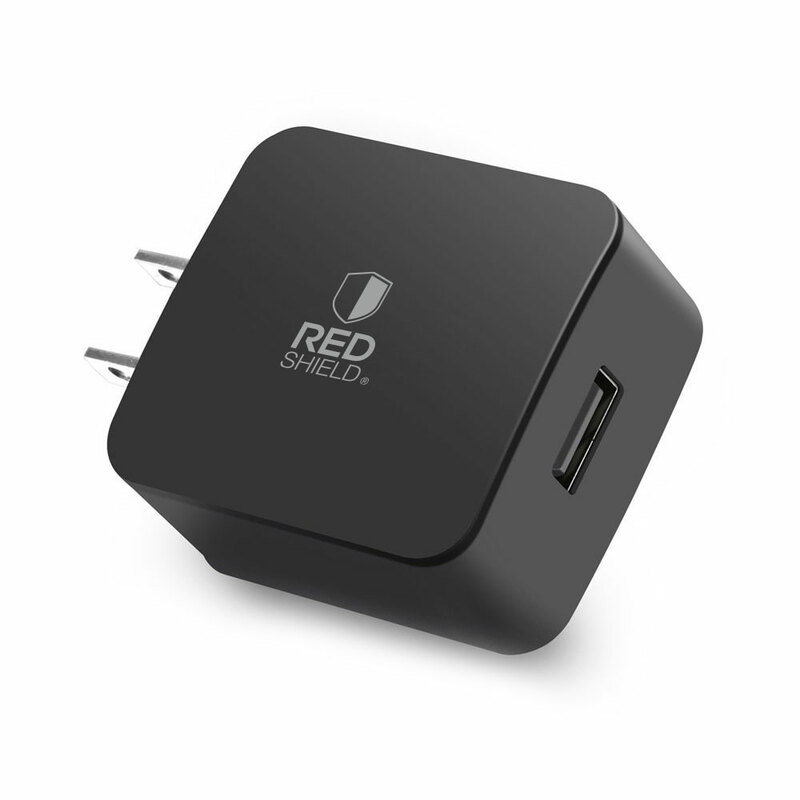 absolutely great price plus kickstand for free! Thanks Geeks! Fantastic case ever! This is very well made quality product, perfectly fit on my galaxy S7 and appears to give a lot of protection. I am very pleased with this cover plus kickstand included on free!!! Thanks Geeks! I love the way it holds and protected my phone, Very durable, lightweight and I love the simple design plus the kickstand. Happy with this case. I love the simplicity but very stylish case for my phone. Fits perfectly and a great way to protect my phone. Highly recommended. I'm glad to have this case. The kickstand and belt clip are great! plus the very handy phone stand! Thanks Geeks! Value the price for this great product! I am very pleasantly surprised about the texture, kickstand, belt clip plus wallet phone stand. Looks great! Super like the kickstand and the belt clip as well. It cover and fits my phone well. The buttons are accessible to used. Reasonable price. Nice case! A great protective, perfect fit , color and holding up well. I dropped my phone but it kept phone safe from breaks. Thanks. It worked out great! Excellent for the price. Durable and sturdy. It holds my phone securely and protects it for sudden bumps, scratch and abrasion. Great case and great price! 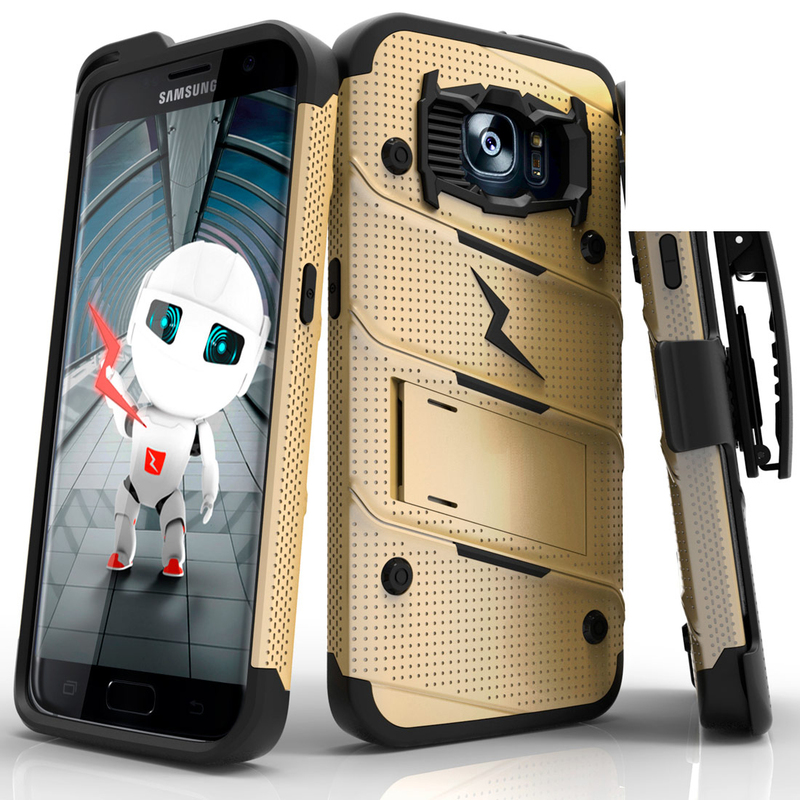 Fits my Galaxy S7 Edge phone, it provides an ultimate protection, durable and sturdy. Highly recommend to others. Best Holster I ever found! Fits great in my Samsung Galaxy S7, the cover is sleek, thin and slide right in and out of my pocket. Very nice! I purchased the "Official Verizon" holster for $30.00 and it broke the 2nd week I had it. I bought this one HOC-SAGAS7E for the Samsung Galaxy S7 Edge and the quality and fit was another whole level better at little more than a third of the cost of the one from Verizon. If you want a great holster for your S7 Edge, you can't get a better one at any price! Case fits well, sturdy yet functional. I dropped my phone several times but since installing the case, there are absolutely no signs of being dropped at all, no scratches, no cracks.. Very happy about my purchase. I am very pleasantly surprised by this case/holster, the texture looks and feels fantastic. It's got a very fine and provides an excellent grip. Value the price for this great product! It fit my phone, this case is exactly what I needed. Allows for an extremely versatile case, and has been durable, sturdy and i love the kickstand. I love how the case protects my Samsung Galaxy-S7 Edge. This is a huge win, best case I've ever had. Great price! no regret in my purchased. First of all, thank you for this Rubberized Case Cover with Kickstand and Belt Clip. This case really looks awesome, it's offer additional protection in my expensive phone, fit within case just right! and this quality product was easy to install. I am very satisfied with this case for my Samsung Galaxy S7! It's very sleek and slim which has made me appreciate my phone more because the sides are very sensitive when held by the dual sides. I LOVE the belt clip and phone's built-in stands because I can stand the phone straight up or on its side! Great features like these are lacking in cases these day. 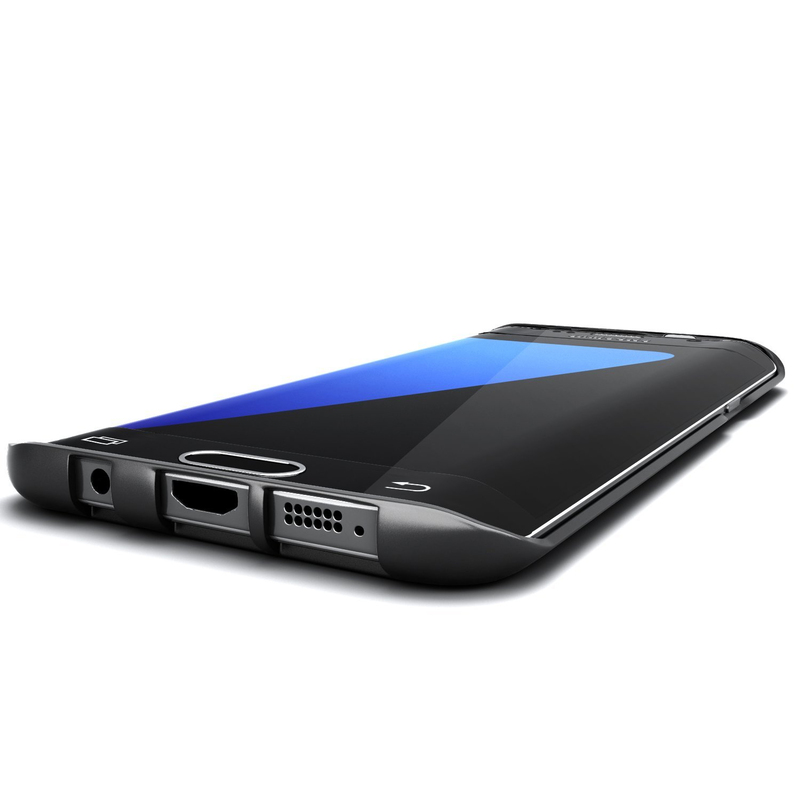 It has excellent texture that gives it the secure feel that the phone is very much lacking. The cut out for the camera lens and heartbeat monitor and light is perfect. Highly recommend!